Users of this website are kindly requested to read these terms and conditions carefully. They must read these terms and conditions before using this site and booking a tour. an activity, an accommodation or a pacjage. Use of the site constitutes an agreement to all terms and conditions contained here and the users warrant that they understand, agree to and accept all of them. The T.O. is committed to ensure the accuracy of all information contained in its websites www.ariannadfriends.com, www.ariannandfriends.it, www.friendlyweddings.it and www.hotelpeccioli.it relating to any services, accommodation offers or packages advertised. All descriptions appearing in its web pages have been typed by its staff, or appointees, in good faith after checking by inspections or careful web investigations. However there may be times when certain services or facilities are unavailable or limited. Such situations may be dictated by local circumstances, unsuitable weather conditions, lack of demand, necessity for maintenance or redecoration, local licensing regulations or government fuel saving legislation. The T.O. cannot accept responsibility for any such problems which are outside a tour operator’s control. The T.O. declines all responsibility for any modifications made by property owner(s) or service provider(s) without its knowledge. 1. The prices of the tours and activities described in the webpages usually do not include transportation, unless otherwise specified. Transportation can be included in the service(s) at extra costs. 2. In the description pages of tours all the items making the final rate are listed in the price boxes or in the notes. Other extra items are specified apart or mentioned by the T.O.’s staff during booking negotiations. 1. Where it is stated that villas, apartments or rooms have satellite TV, the T.O. can make no guarantee of the channels the traveler can watch. 2. Where it is stated that villas, apartments or rooms have air-conditioning, or central heating, they are charged locally upon consumption, unless otherwise stated. 3. Where a villa or apartment complex has a swimming pool, the period when the pool is available is at the owner’s discretion and may also be affected by weather conditions. As they operate outside the T.O.’s control, the T.O. cannot guarantee their availability. 4. Villas, apartments or rooms are cleaned for the traveler arrival but not during the traveler stay, unless otherwise stated. They may not be ready for immediate occupation and are available from 3.00 pm, unless otherwise stated. On the day of departure the traveler should vacate the property before 10.00 am, unless otherwise stated. The terms and conditions set out in this section together with the confirmation through signature of a travel contract related to a booking comprise the agreement between the tour operator and travel agency Arianna & Friends Srl, here below defined as the tour operator (T.O. ), and all the people involved in the booking, on whose behalf the party leader, here below defined as the traveler, is acting. a) Bookings are made in relation to tours, services, accommodation or packages as described in the contract only and do not include any other item, any flight or other travel arrangement, unless differently specified during negotiations with the traveler. b) Any money paid to the T.O. under these booking conditions are protected by the tour operator licence (see Clause 17). Once the T.O. has received the deposit(s), it immediately sends all final details to the traveler, including destination addresses and phone numbers of any people involved in the service. d) Payments can be accepted by credit card, bank transfers of post transfers (in Italy only). All payments are addressed directly by the T.O. and are carried out by the staff of the T.O..
e) Should there be an obviously incorrect price shown on the travel contract, the T.O. will issue a new contract and will not be bound by the price quoted on the incorrect contract. f) It is important that the traveler carefully checks all the details shown on the travel contract to ensure they are correct. g) Bookings are confirmed by the T.O. short after reception of advanced payment. If the traveler does not receive a confirmation, as a message per email or as a voucher, within 48 hrs, the traveler should contact the T.O. to make sure that the booking has been made. h) The T.O. reserves the right to refuse a booking without any given reason. a) Booking deposit – In order for the traveler to finalize booking, a deposit of 50% of the total amount is necessary. The booking deposit is due to be paid short after receiving the contract from the T.O.’s staff. Any deadline will be specified by the staff during the booking negotiation. b) Balance – The balance is to be paid within 15 days before arrival, unless otherwise specified. If the balance is not received by the T.O. in full and by the due date, the T.O. reserves the right to treat the booking as cancelled by the traveler, in which case the cancellation charges as set out in clause 7 will be payable. Bookings made within 15 days before arrival are deemed as late bookings. Full payment will be due immediately and once this has been received by the T.O., all booking conditions will apply. Should the traveler cancel after this point, for whatever reason, cancellation charges as shown in Clause 7 will apply. The dispatch of holiday documents to the traveler such as confirmation vouchers are conditioned to the reception of the advanced payment by the T.O., in the terms scheduled by Clause 3. The traveler that is in the impossibility to undertake the confirmed booking has the right to surrender his own booking to a person that accepts all the conditions of the booked accommodation, tour or service while all the arrangements remain exactly the same as in the original booking. In this occurrence, the traveler must inform the T.O. with at least 7 days of notice as regards to the foreseen arrival date. The T.O. will not be responsible for any missed acceptance of the new nominative by any third parties supplying the service(s) or the accommodation. The surrendering traveler and the new traveler are both responsible for the payment of the balance of the total amount. If the traveler wishes to transfer the traveler booking to another product thereby changing the arrangements completely, this will be treated as a cancellation with loss of cancellation fees as set out in Clause 7. It will be necessary to re-book another product. In case of partial changes in the booking, the new request will be studied by staff of the T.O. and the traveler will not lose all cancellation fees. If travelers cancel their booking, the party leader, represented by the main name on the travel contract, must immediately advise the T.O. in writing, per e-mail or fax. Verbal cancellations will not be accepted. If the travelers cancel their booking, the traveler will be liable to pay the cancellation fees set out in the table below. Cancellation periods are calculated on the date of the traveler cancellation being received by us per post at our offices at Via Mazzini, 71 – I – 56037 Peccioli (Pisa) or per fax to +39 0587 672088 or per email to info@ariannandfriends.com. If the traveler cancels the booking on the day of arrival or scheduled service, due to circumstances beyond the T.O.’s control, compensation or refunds will not be payable by the T.O.. For such a reason travellers are strongly encouraged to obtain cancellation insurance from insurance companies or through the T.O.. In certain circumstances, this will cover the cost of cancellation. a) Should the traveler decide to curtail the booked holiday arrangements or services, for whatever reason, no refunds will be payable for any unused nights of accommodation or days of service. b) The applicable cancellation charges must be paid even if the traveler decides to change the reservation for whatever reason and without explicit authorisation of the T.O..
8. Alteration and cancellation by the T.O. c) modification of the category of the confirmed accommodation or service in pejorative sense. In all cases, travelers will need to communicate, within 48 hours from reception of the communication of modification, if they wish to either practice the right of recess or accept the modification. In absence of communication by the traveler, the modification will be understood as approved. In the event the confirmed property cannot be supplied because the accommodation ceases to operate, the T.O. will always endeavour to offer the traveler substitute arrangements and if the cost is less than the traveler’s original booking, the traveler will receive a refund of the difference from the T.O.. If however the alternative offer costs more than the previous one and the traveler accepts that offer, then the T.O. will ask for the difference in price. The T.O. may have to cancel the traveler’s booking as a result of “force majeure”, that is any occurrence outside the T.O.’s control and which could not have been avoided with all due care. Such events may include war or threat of war, riots, civil strife, strikes, terrorist activity, natural or nuclear disaster, goverment action, adverse weather conditions and all similar events out of the T.O.’s control. In this situation, the T.O. regrets not to be able to guarantee any refunds, meet any costs or expenses the traveler may incur as a result or pay any compensation. 9. Responsibility of the T.O. 1) Damages to the person of the traveler (death, injuries or illness), unless it is proved that they are due to the negligence of the T.O.’s employees, or by their appointees, i.e. from the third party provider(s) of service(s) during the vacation. The responsibility of the T.O. for said damages cannot, in no case, exceed the measure defined by the Convention of Bruxelles of the 1970 (ratified with Italian law n. 1084 – 27th December 1977). 2) Damages, loss, theft, relative to the belongings owned by the traveler (e.g. baggage), caused by the breach or by the bad execution of the service(s) object of the confirmed tour or package by the T.O. or by its third party providers of service(s). The responsibility of the T.O. cannot exceed the limits of the International Conventions regarding the service(s) within which the harmful event has been verified and, however, the measure of 30% of the value of the tour for each traveler. – are due to causes of “force majeure” or to an event that the T.O. or the provider of the service(s) in question, could not, even with all due care, foresee or avoid. – due to autonomous initiatives of the traveler. 5) If, in the opinion of any person in authority, such as police, accommodation owners, managers, employees or appointees of the T.O., the traveler appears to be unfit to take parto into the booked activity or occupy the booked accommodation or because of anti-social behaviour is likely to cause a disturbance to other guests or damage to property or any other equipments of the T.O. itself or of other service providers, the T.O. may terminate any holiday arrangements. The T.O. will not be liable to make alternative arrangements for other services or accommodation nor will it cover any costs which the traveler may incur or make any refund. The traveller acknowledges that all travel involves an element of risk and that some tours or activities offered on this site may involve an amount of personal risk. Travellers hereby assume all such risk and they, their family, heirs and assigns hereby release the T.O. from all claims and causes of action whatsoever arising from any injury, death or other damages, both pecuniary and non-pecuniary, that may occur as a result of their participation in the tours or activities offered on this site, as a result of the negligence of any party. Travellers are strongly encouraged to obtain suitable medical insurance prior to booking a tour, an activity or accommodaiton. All services and facilities offered by the T.O. are subject to the standard terms and conditions of the supplier and are incorporated into our contract with the traveler. A caution deposit is usually payable on site to the key holder or owner to protect against possible damage. Deposits are normally returned on departure if no damages have occurred. The traveler is responsible for ensuring that any villa, apartment or room provided is left upon departure in the same conditions of tidiness and repair as upon arrival. Any loss or damage caused by the traveler will be deducted by the owner from the traveler caution deposit. In case damages exceed the caution deposit, the owner must be refunded of the whole value of the damage by the travelers themselves. The T.O. is not involved in this matter at any extent. Property owners reserve the right to refuse admittance if the number of persons arriving exceeds the number stated on the booking form or the maximum sleeping places as detailed in the websites. If a property offers a price for varying numbers and exceeding bedrooms, this will be defined in the booking procedure. In the event that the traveler are dissatisfied with any aspect of the traveler chosen service, accommodation or package, the traveler must immediately report the cause to the provider of service(s) or to the keyholder or owner or supplier of the villa, apartment. The traveler must also inform the T.O. who will endevour to put things right. In the unlikely event that the traveler is still not satisfied upon return from the holiday, the traveler must contact the T.O. giving full detailed complaints within 3 days after reception of the last service. If the traveler fail to notify to the T.O. or the supplier of any dissatisfaction during the traveler holiday, the T.O. cannot accept liability for that complaint in retrospect. If the traveler leaves accommodation prematurely without an explicit authorisation of the T.O., the traveler forfeits the traveler rights for a refund. Such complaints will not be taken into consideration. The rates quoted and the costs of the service(s) may vary in time and the websites of the T.O. are constantly uptadated accordingly. In case that, differences in the costs of the advertised accommodation offer(s) or service(s) should occur before arrival, the relevant rates will be modified, in increase or in diminution, according to the said variations. The T.O. will immediately inform the travelers about such variations and they have the right to cancel booking in case of increase of price superior to 10 %, as per Clause 8. The travelers will establish before arrival if the price is of their interest. However, the price defined in the travel contract will not change in the 15 days before the arrival date. No confrontation regarding prices will be taken into consideration after the return from the tour or service or holiday. Travellers are responsible for providing accurate, timely and complete information in connection with use of the site. The T.O. is not responsible for any claims relating to any inaccurate, untimely or incomplete information provided to us by them. It will be care of the traveler to provide for the regulation of all valid documents for the expatriation. The T.O. declines each penal and moral responsibility for lack of valid documents for the expatriation and inaccuracies of the same. This contract is governed by the law of the Italian Republic and exclusive jurisdiction is conferred on the Italian Courts. 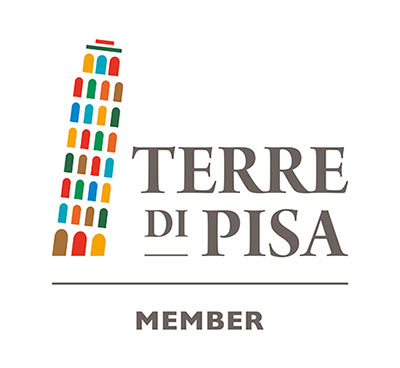 In case of controversy, any dispute must be resolved before the courts of the Province of Pisa so Tribunale di Pisa will be competent. The traveler booking with the T.O. implies that all clauses of this contract have been understood and have thereby been accepted without reserve and without exception. The T.O. has insurance coverage with Allianz N. 731295183 according to the Italian legislative decree 111 dated 17th March 1995. Arianna & Friends operates as a tour operator and travel agency with authorization of the Province of Pisa, Provincia di Pisa, dated 6th June 2007, prot. N. 103938/b. Arianna & Friends S.r.l. may revise these terms at any time by updating this posting. Travellers should visit this page from time to time to review the then-current terms because they are binding on them. Certain provisions of these terms may be superseded by expressly designated legal notices or terms located on particular pages on this site. The T.O. through the website Ariannandfriends.com, Ariannandfriends.it, Hotelpeccioli.it and Friendlyweddings.it complies with the obligations under the 2003 Italian Data Protection Act (Decreto Legislativo n.196/03). Additionally, the T.O. understands the importance of maintaining the confidentiality of the information stored about the traveler while using these sites. Contacts and other personal data the traveler supplies are stored by the T.O. and will be used to provide the travelers with the information they have requested. The collected information may be used by the staff of the T.O. to keep the traveler updated about its newest activities and events. The T.O. will never wilfully disclose individually identifiable information about any traveler to any party without first receiving permission from them. Yet, the T.O. is obliged to pass such information on to the relevant suppliers of accommodation (except credit card details), and, if required by them or by law, to security or credit checking companies and public authorities such as customs/immigration offices. The traveler can remove any of the information that the T.O. stores about them, at any time, by sending an email to info@ariannandfriends.com with a request of deletion from the mailing list and from the databases of the T.O..
All text, graphics, editorial content, data, formatting, graphs, designs, HTML, look and feel, photographs, music, sounds, images, software, videos, designs, typefaces and other content (collectively “Proprietary Material”) that travellers see or read on this site is owned by the T.O., or is used with the owner’s permission. This Proprietary Material is protected in all forms, media and technologies. You may not copy, download, use redesign, reconfigure, or retransmit anything from the Site without the prior written permission of T.O.. The service marks and trademarks Arianna & Friends and the T.O.’s logo are service marks owned by Arianna & Friends Srl. Any other trademarks, service marks, logos and/or trade names appearing on the site are the property of their respective owners. You may not copy or use any of these marks, logos or trade names without the prior written permission of the T.O. or the applicable owner.